This new 30-minute webinar was created to help submitters improve the completeness and accuracy of information provided on the newborn screening blood card. NEW! 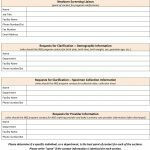 Click to provide contact information on your NBS Site Liaison. Click for a visual chart of the video’s instructions to print and use in your facility. Please see our Continuing Education page for two additional webinars on the basics of specimen collection, and collecting blood from babies in the NICU. 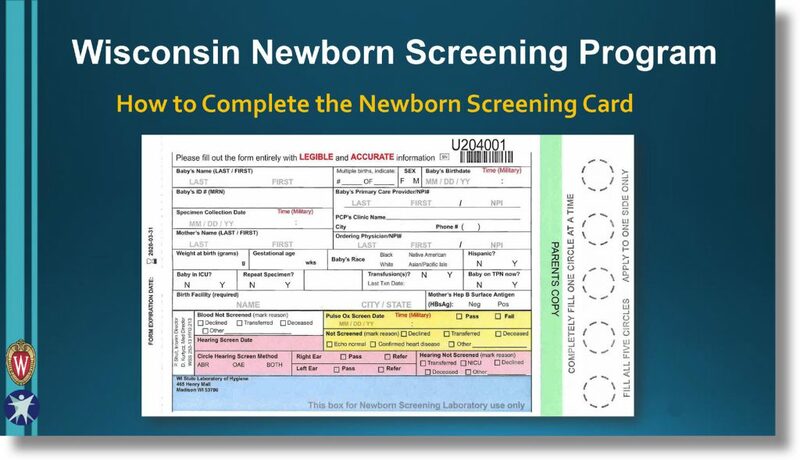 Please contact the Newborn Screening Laboratory at 608-262-6547.